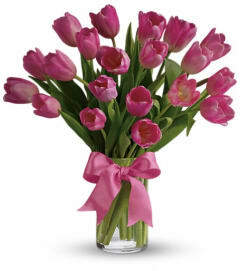 Spring into pink! Delicate roses, tulips and carnations fill a graceful vase with a cheerful expression of your love. It's affection perfection! 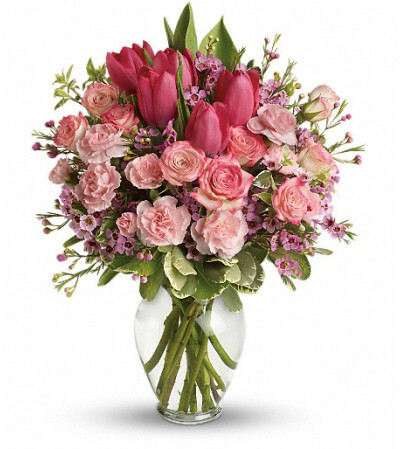 Includes pink roses, tulips, carnations and waxflower, accented with fresh pitta negra and variegated pittosporum. 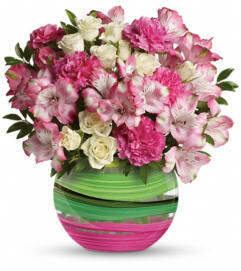 Delivered in a lovely glass vase.